Innovate UK has awarded funding of £13m towards the exciting new £42m Smart Hubs SLES project. 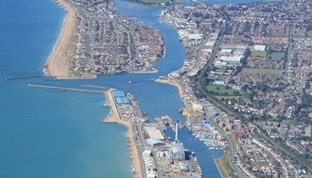 The three year project will install infrastructure for a local smart grid at Shoreham-by-Sea in West Sussex. The Smart Local Energy System, based around a new 2MW heat network employing marine source heat pumps from ICAX, will accelerate the electrification of heating and the electrification of transport to decarbonise heating, cooling and transport. It will also balance the local supply and demand for electricity by using demand side management techniques and time-of-use pricing in a Virtual Power Plant to shift electric demand from peak hours to times of excess supply. The project will be led by Advanced Infrastructure with West Sussex County Council, Newcastle University, Switch2, ICAX, Flexitricity, Moixa, PassivSystems, Connected Energy and ITM Power. See Smart Hubs project which will establish a Smart Local Energy System at Shoreham-by-Sea. “We are at the start of a green revolution as we move to more digital, data-driven smart systems that will bring us cleaner and cheaper energy. These projects, backed by government funding, are set to spark a transformation and change the way we interact with energy for the better as part of our modern Industrial Strategy.